Great fun for everyone whether you are an adrenalin junkie or just after some light hearted excitement and entertainment. 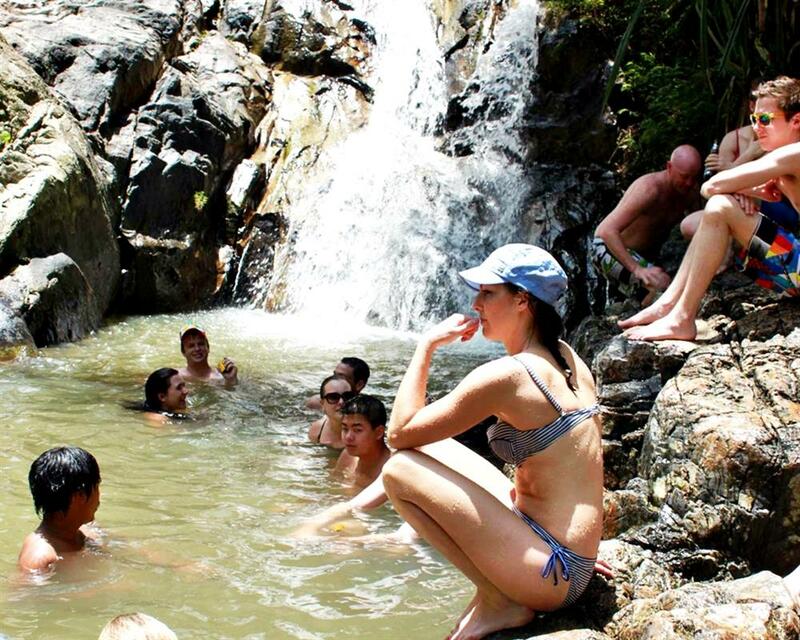 Swim and relax at Namuang 1 and 2 waterfalls. Namuang 2 waterfall is the biggest on Samui! Glide through the jungle on zip line cable rides. There are 4 cable rides of excitement for you to go on! 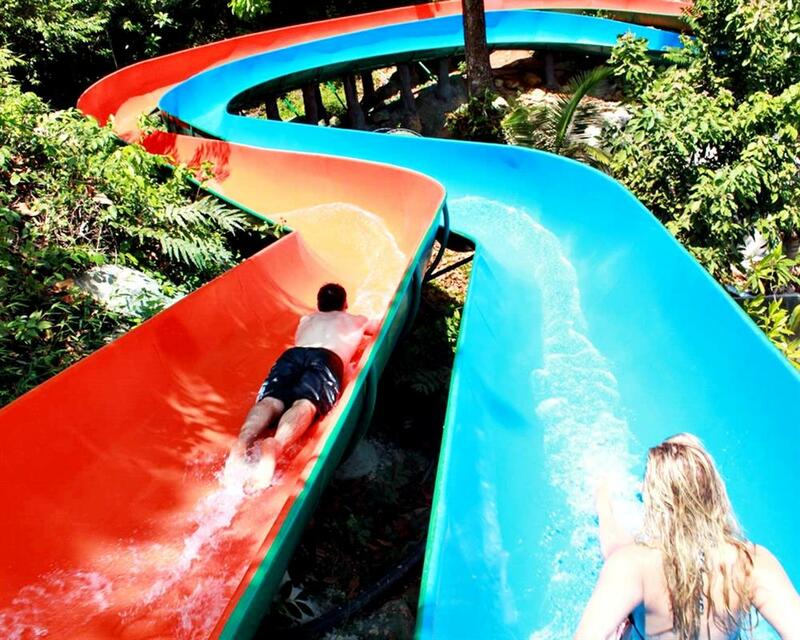 Slide down the fabulous jungle water slides. 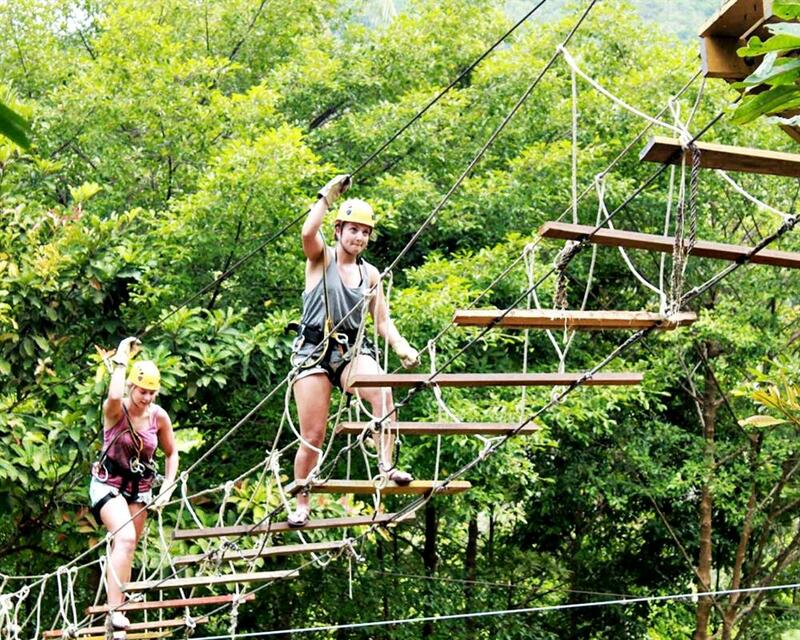 There is 20 meters of fabulous fun and 70 meters of fast adrenalin action! 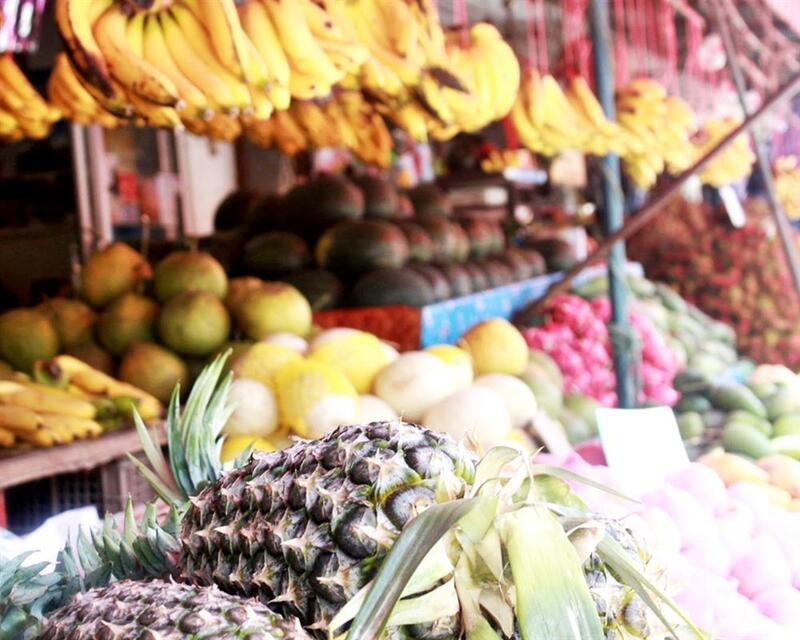 Recharge and unwind before returning to your accommodation with a meal and fruit tasting at Samui largest fruit market. 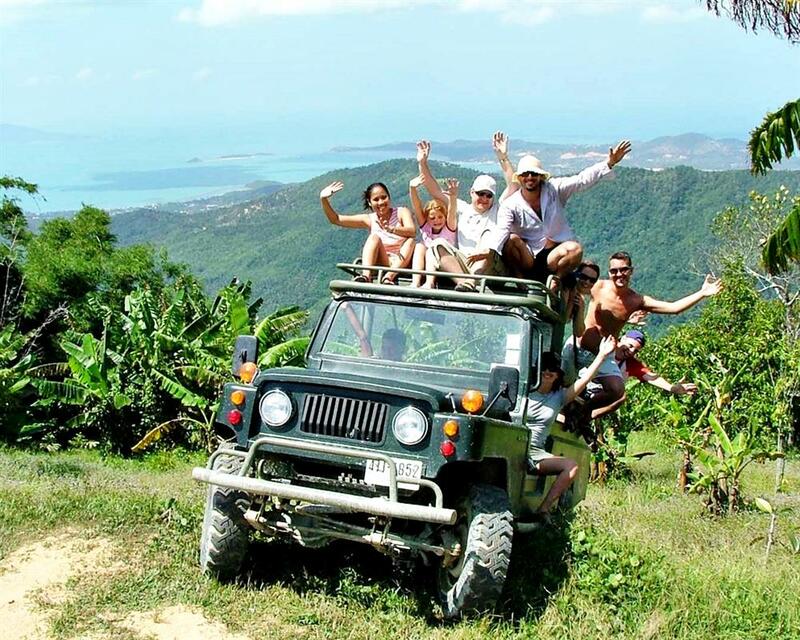 Pure pleasure, thrills and enjoyment await! Glide down the awesome jungle water slides. 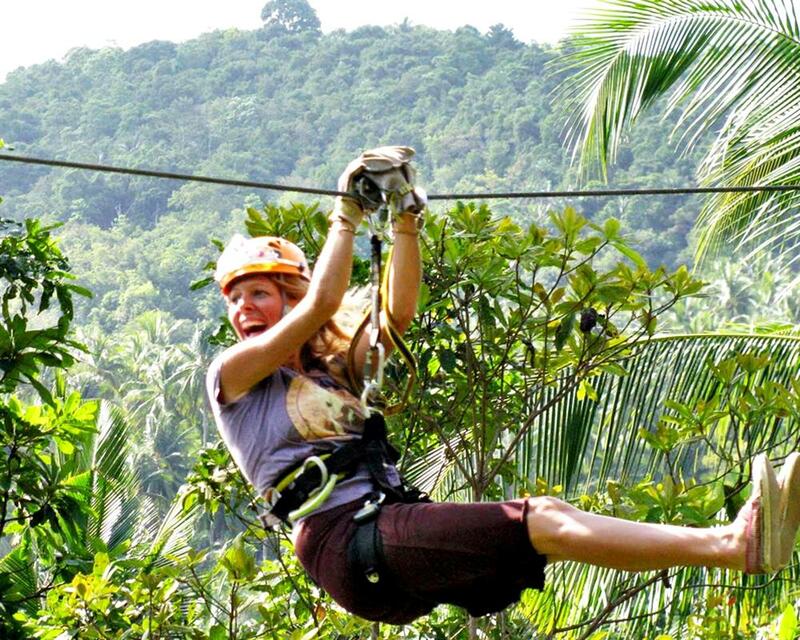 Fly through the jungle canopy on zip line cable rides. Pick-up times: Morning 8:30 – 8:45 Meanam/Bhophut/Choengmon area, 9:00 – 9:15 Chaweng area, 9:30 – 9:45 Lamai area. 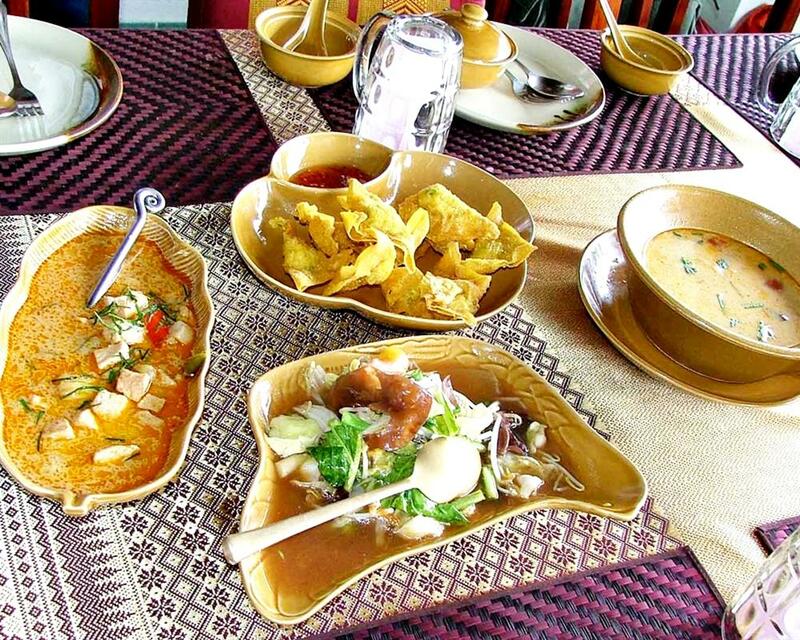 Pick-up times: Afternoon 13:30 – 13:45 Maenam/Bhophut/Choengmon area, 14:00 – 14:15 Chaweng area, 14:30 – 14:45 Lamai area. Children between 5-11 years old will be charged as the child price.